You may have noticed that I’ve not been around for a little bit. There’s no real reason for this other than I’ve been a bit busy, and quite lazy about posting. I’ve been experiences a bit of bloggers block (again!) but I’m hoping I’m over the worst of it and the steady stream of posts will once again start flowing! To ease me back in, I thought I’d share a few photos of what I’ve been up to the last few weeks. Then came Easter. Mum and I spent a day creating floral arrangements for church, which I have to say, looked stunning! Then after a weekend of Masses, came the chocolate coma! 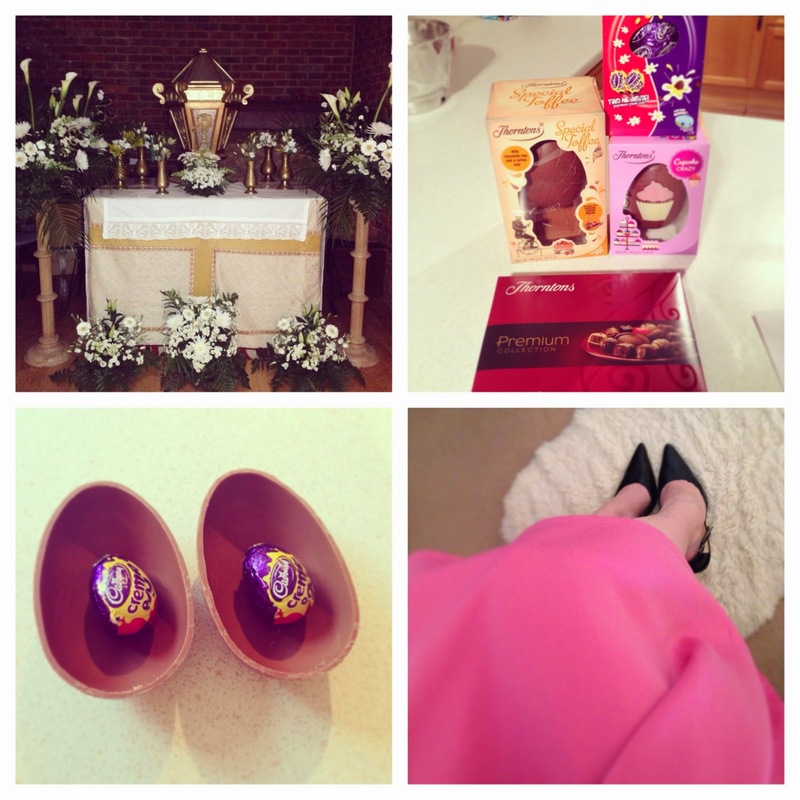 I even made a chocolate egg for my other half that went down very well! I also gave my pink neoprene skirt an outing, paring it with my classic, well worn Jimmy Choos. Then this weekend we went to a local hotel for a fantastic night of excellent food, wine and much laughter. Happy Birthday Dad! So my apologies for having been so absent from blogging but I’m making a concious effort to get going again! I’ll be back on track before you know it!